A barrel of light sweet crude oil for every legal American family. John McTaint believes the easy choices lie ahead. John McTaint is resolute in his belief that we must begin free and open market drilling in all 50 states NOW. Our nation's future security and prosperity depends on the next president making the easy choices that will ensure our nation's strategic dependence on oil. We must begin free and open market drilling in all 50 states NOW. We can't wait for all this oil in our backyards to go to waste. If elected, John McTaint will help ease the financial burden of rising gas prices on Americans by guaranteeing a barrel of light sweet crude for every legal family in America. A barrel of light sweet crude oil for every legal American family. 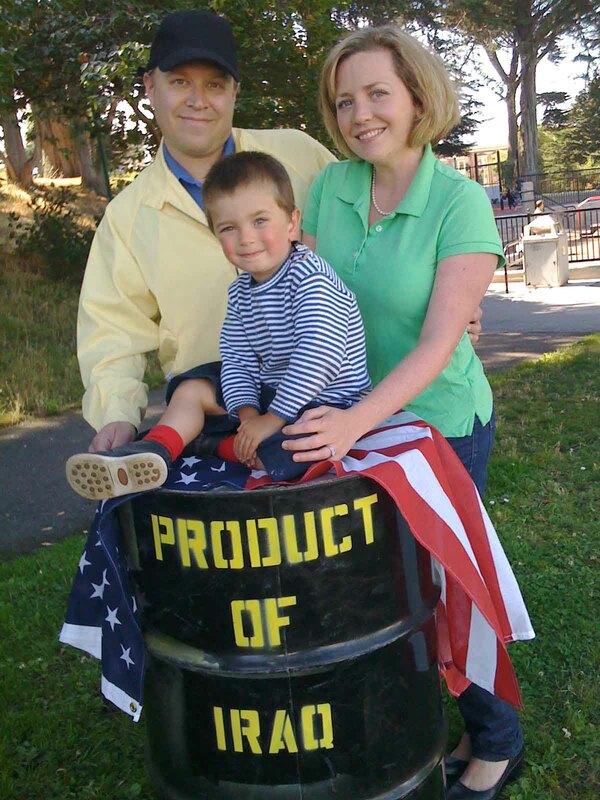 That's right, every legal American family will get a barrel to be used how they wish, as legal law-abiding free citzens. You'll immediately start to notice a change in your energy budget each month once you receive your light sweet crude barrel of oil. This will help pinch off prices at the pump and enable every real American to have the freedom to spend more money on frivolous items to help make our country economically strong again. Easy choices lie ahead. We're Americans. We're strong. We persevere. We make it through the tough times. We fight. This is what makes this country strong. This is what America is all about. That's why McTaint knows what to do. More drilling is on the docket, more fossil fuels are needed, more natural resources need to be drained. We need to trust the oil companies, privatize the energy sector even more than we have already, reduce spending on frivolous activist organizations like the Environmental Protection Agency, and keep our choices at a maximum from our beloved foreign oil suppliers. Easy choices lie ahead. "John McTaint really understands us. This barrel of oil will go a long way in helping our family through these trying times."